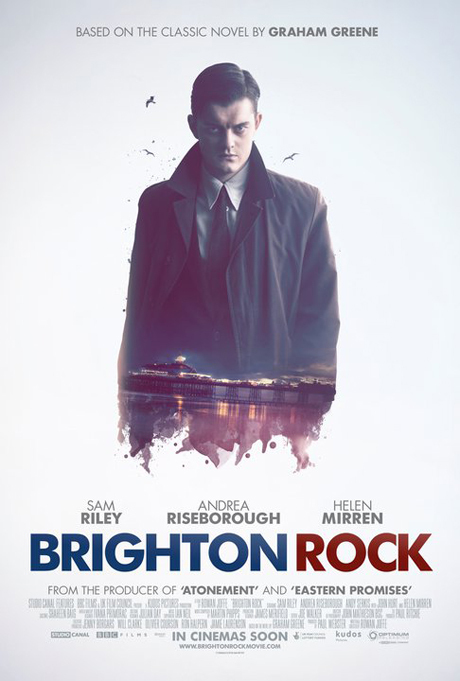 I know I’m a bit late on this but the UK poster for Brighton Rock (which you’ll be glad to know is ‘IN CINEMAS SOON’) is almost as subtle and nuanced as the movie is bland and confused. Those colours! Those paint drips! The wholly acceptable typeface! Do not be fooled by this deceptive design.